Pictured above back row: Aidan McCanny (SELB), Daithi Murray, (St. Paul's Bessbrook), Ciaran McCrumlish (SELB). Front row: Elaine Dunne (St. Paul's Bessbrook), Anne McKinless (SELB), Vivien Kelly (SELB). 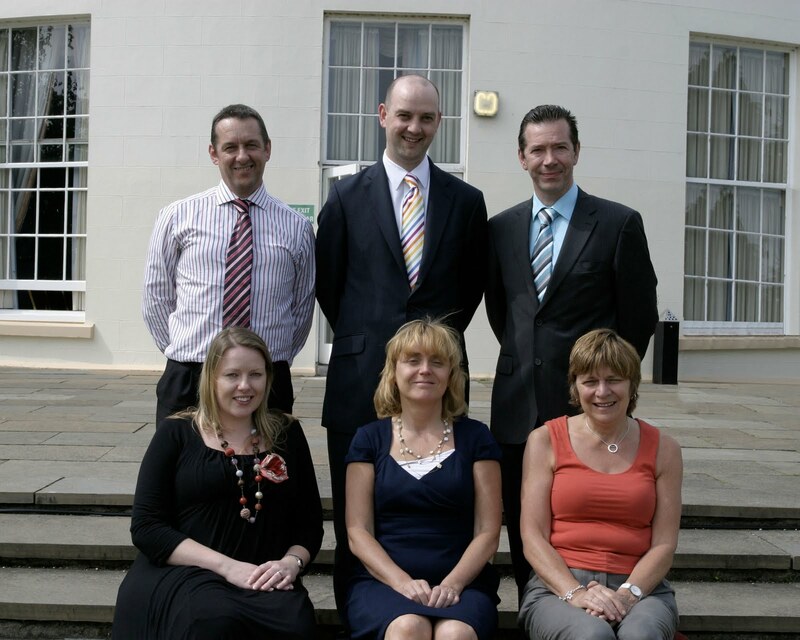 On the 3rd June 2010, the Regional Training Unit (RTU) for N Ireland, celebrated another graduation event in Malone House Belfast. Over 60 practising post-primary teachers and officers from the education support services (ELBs, ETI, CCEA) successfully completed RTU’s Online Learning and Teaching for Educators Programme (OLTE). The keynote speaker at this year’s ceremony was Mr John Anderson, Managing Inspector ETI. Presentations were also given by Mr Sean Sloan, Headteacher, St Patrick’s Grammar School, Downpatrick and Michelle Clancy, OLTE Graduate. The certificates were presented by Mr Stanton Sloan, Chief Executive of the South Eastern Education & Library Board.